Upon arrival, your Concierge Guest Coordinator (CGC) will ensure your every need is met. From our carefully curated menu of salon services, your CGC will help you customize your private suite experience. We will prepare your suite to your specifications. From therapeutic and aromatic scents and soft surround sound music to complimentary herbal teas, coffee & sparkling water. 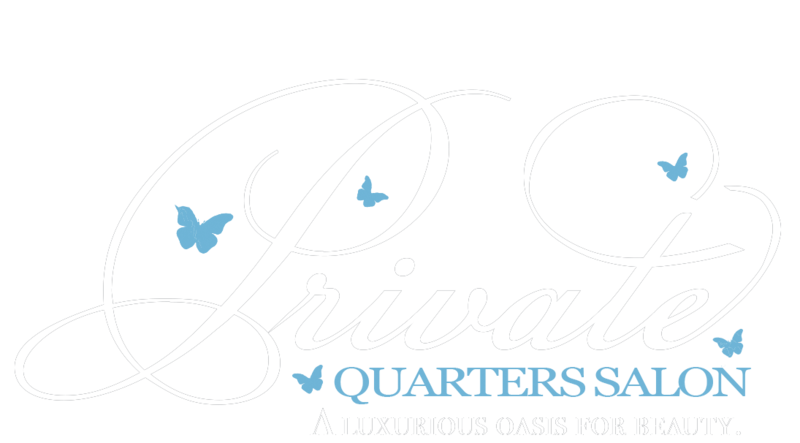 At Private Quarters, your wish is our pleasure. Next, your beauty and wellness stylist will provide a complimentary consultation prior to your service and prepare a customized client profile, creating a long term beauty regimen to meet your needs. Need a bite to eat while being serviced? No worries. Select from a menu of local restaurants. Your food will be prepared, plated and delivered to your suite via white glove service.